Stella's Musings: Climate Change: Don't Shoot The Messenger! Climate Change: Don't Shoot The Messenger! Last evening I wrote a piece on how changing climate is affecting tea production in India’s Assam. Soon after, I was pulled up by a scientist for being ‘unscientific’, ‘sensational’, ‘fuelling a controversy’ etc, etc. At the end, he had a strong diktat: don’t link climate change directly to the decline of any crop production, including tea. This Guardian isn’t the only media to raise the issue. 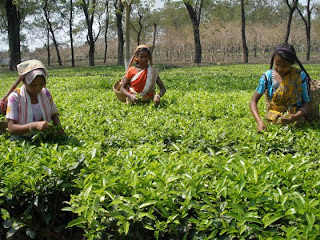 On December 31, 2010, Associated Press carried an article that read, “…climate change has hurt the country's tea crop, leading not just to a drop in production but also subtly altering the flavor of their brew.” The report quoted Mridul Hazarika, director of the Tea Research Association, one of the world's largest tea research centers. This year, in January, the International Business Times reported that climate change was weakening Indian tea. Reporter Brigid Darragh quoted local tea growers who echoed the same concern. A day later, UPI published an article titled “Climate change a threat to Assam tea”. The article quoted Debakanta Handique, a climate scientist in Assam, who said that decline in Assam’s tea production was “clearly due to climate change and it is bound to have major impact on the tea industry." The list of such reports is long enough to cover a km. But I would like to stop here and ask a couple of questions: 1) why are certain scientists still adamant about treating climate change as a taboo, while it is happening right at their backyard? 2) If the telltale signs of climate change at the community level are not acceptable to the scientists, how can media help it? Calling a spade a spade may not be everyone’s forte. But that’s the core job of the media and it should be allowed to do its job, or else we have no right to call ourselves a democracy. AFSPA: Look Who's Asking For It! Libya: How Will It Work for Indians? Flogging Marzieh Vafamehr? I Condemn! 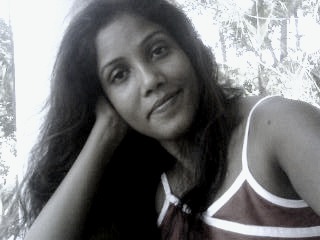 Goddess Durga Gets a Red Salute!